The home appliances brand joined forces with the celebrity chef for the finale of its Fresh Thinking for Forgotten Food campaign. This week east London welcomed its latest pop-up café, where diners can enjoy a tasting menu of eclectic dishes, and pay what they think the meal is worth. So far, so Shoreditch. 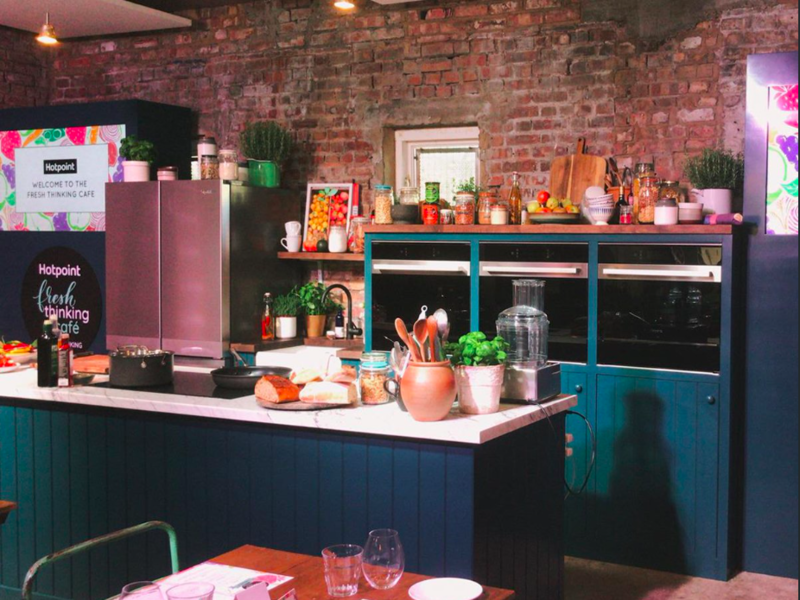 Yet peer closer at those dishes and they share something in common – they were all inspired by the most commonly wasted ingredients in the UK and masterminded by participants in Hotpoint’s Fresh Thinking campaign. The brand identified that 65% of Brits worry about wasting food and in Europe 88 million tonnes of food go to waste every year. These research findings formed the base of the brand’s ambitious initiative to tackle food waste. The Fresh Thinking campaign kicked off in July 2018, encouraging consumers to be creative with leftover food and design recipes from the top ten ‘forgotten foods’ – which are most likely to go to waste. 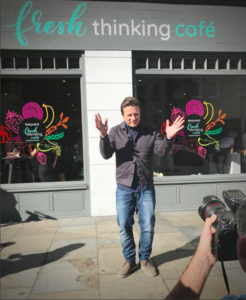 And with Jamie Oliver already on board as the brand’s ambassador since 2017, there was an obvious choice for chef for the launch of the pop-up and a key champion in the mission against food waste. The campaign included two ad spots in the UK, a raft of in-store activations, plus digital, social media and influencer videos. Agencies included Carat, JWT for creative and Fat Lemon – Jamie Oliver’s production agency. XYZ delivered the live activation, which included a roadshow across the summer encouraging families in to a mobile kitchen for a masterclass, through to the final culmination at the Fresh Thinking Café. More than 1,000 recipes based on commonly wasted foods were submitted by consumers across Europe to be reviewed by a panel of culinary experts and the very best ended up on the menu to be served at the two-day pop-up. Read the full article on Campaign here.